Since the late nineteenth century, religious ideas and practices in Japan have become increasingly intertwined with those associated with mental health and healing. This relationship developed against the backdrop of a far broader, and deeply consequential meeting: between Japan’s long-standing, Chinese-influenced intellectual and institutional forms, and the politics, science, philosophy, and religion of the post-Enlightenment West. In striving to craft a modern society and culture that could exist on terms with – rather than be subsumed by – western power and influence, Japan became home to a religion--psy dialogue informed by pressing political priorities and rapidly shifting cultural concerns. This book provides a historically contextualized introduction to the dialogue between religion and psychotherapy in modern Japan. In doing so, it draws out connections between developments in medicine, government policy, Japanese religion and spirituality, social and cultural criticism, regional dynamics, and gender relations. The chapters all focus on the meeting and intermingling of religious with psychotherapeutic ideas and draw on a wide range of case studies including: how temple and shrine ‘cures’ of early modern Japan fared in the light of German neuropsychiatry; how Japanese Buddhist theories of mind, body, and self-cultivation negotiated with the findings of western medicine; how Buddhists, Christians, and other organizations and groups drew and redrew the lines between religious praxis and psychological healing; how major European therapies such as Freud’s fed into self-consciously Japanese analyses of and treatments for the ills of the age; and how distress, suffering, and individuality came to be reinterpreted across the twentieth and early twenty-first centuries, from the southern islands of Okinawa to the devastated northern neighbourhoods of the Tohoku region after the earthquake, tsunami, and nuclear disasters of March 2011. Religion and Psychotherapy in Modern Japan will be welcomed by students and scholars working across a broad range of subjects, including Japanese culture and society, religious studies, psychology and psychotherapy, mental health, and international history. "This is an outstanding book…the first high-quality academic work on religion and the psy disciplines in modern Japan. It covers the topics of modern religion and psychotherapy in Japan and connects them with the recent major crises of Aum Shinrikyo and the earthquake and tsunami of 3.11." 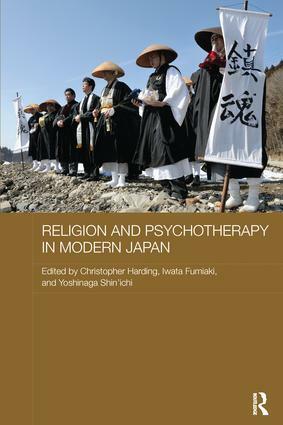 "Chris Harding and his fellow editors have brought together a significant set of essays examining the relationship between the 'psy disciplines' of psychiatry, psychology, and psychotherapy, and religion in Japan. Harding's overview takes us beyond the problematic definitional issues relating to religion to show how the 'psy disciplines' have helped shape the ways in which religion is manifest in modern Japan. The essays that follow introduce a wealth of Japanese scholarship in the field that will be of value to all who are interested in religion, psychotherapy and Japanese culture in general." "The already weighty tilt of the literature toward textual-philosophical orientations can profit from the contextualization and new voices provided by this excellent volume." "Religion and Psychotherapy in Japan is an important and welcome addition to the growing body of literature on religion and the psy disciplines outside of the Euro-American science-versus-religion cul-de-sac, and would be of interest to scholars and students working in the sociology of religion, psychological anthropology, Japanese intellectual history, modern Japanese history, and Japanese philosophy, in addition to Japanese religion and the psy disciplines."